March 20, 2019 - Alex Hruby doesn't shy away from a challenge. 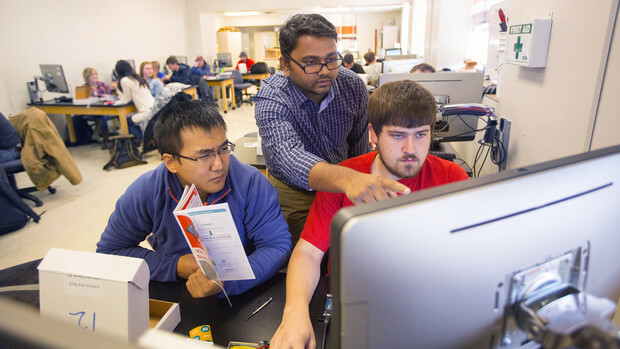 The senior biological systems engineering major knew her career path presented plenty of roadblocks, but she's forging a path that combines her love for technology and helping others. 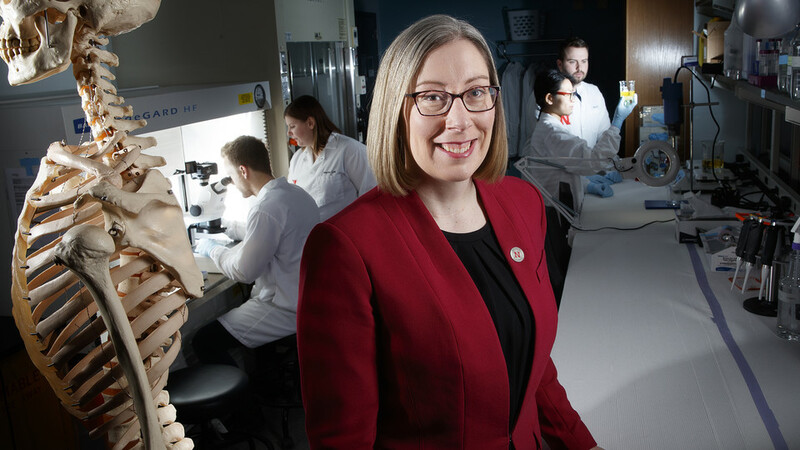 March 12, 2019 - To combat the growing opioid addiction epidemic, Rebecca Wachs is using a five-year, $510,400 NSF CAREER Award to develop a targeted, biomaterials-based treatment for low back pain. 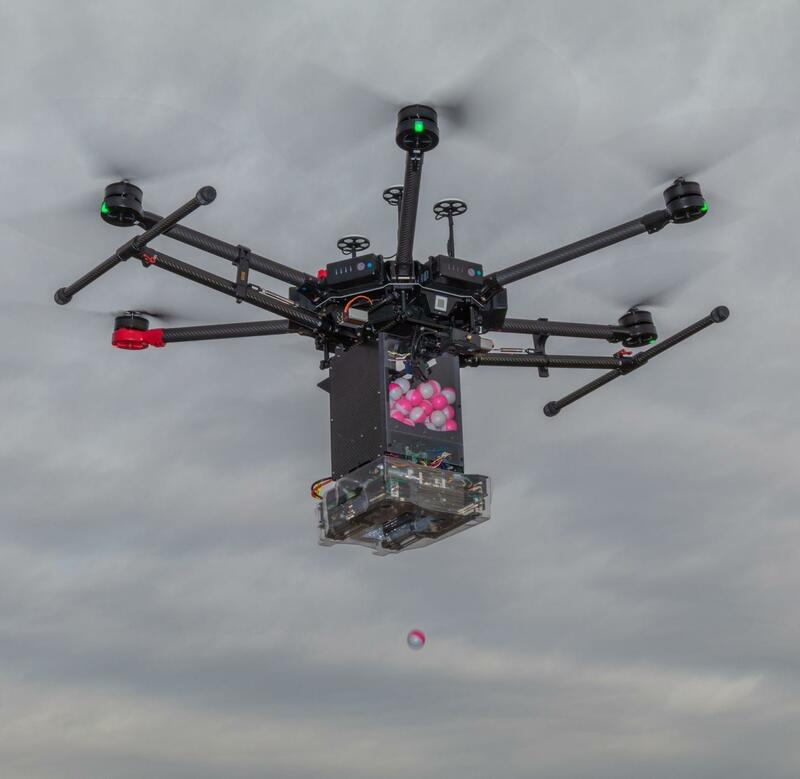 March 06, 2019 - Drone Amplified, a Lincoln-based company started by two years ago College of Engineering faculty, and its IGNIS product are featured in this Lincoln Journal Star article. 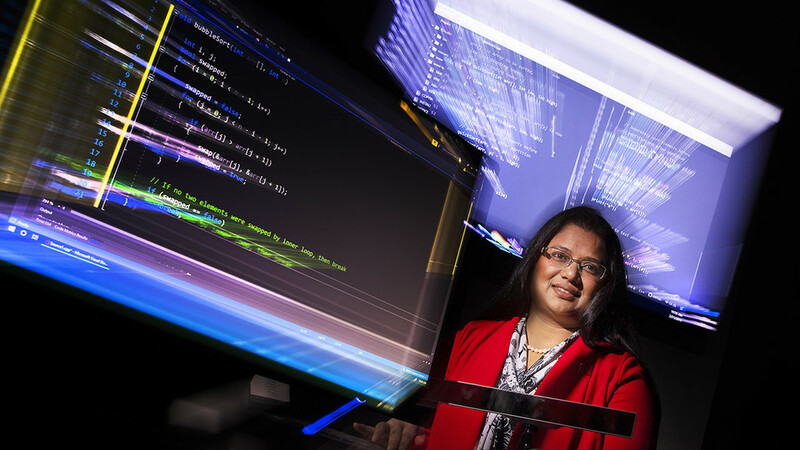 February 26, 2019 - Using the latest advances in eye-tracking technology, University of Nebraska–Lincoln computer scientist Bonita Sharif is analyzing how software programmers work in order to develop tools that help them write code better and faster. 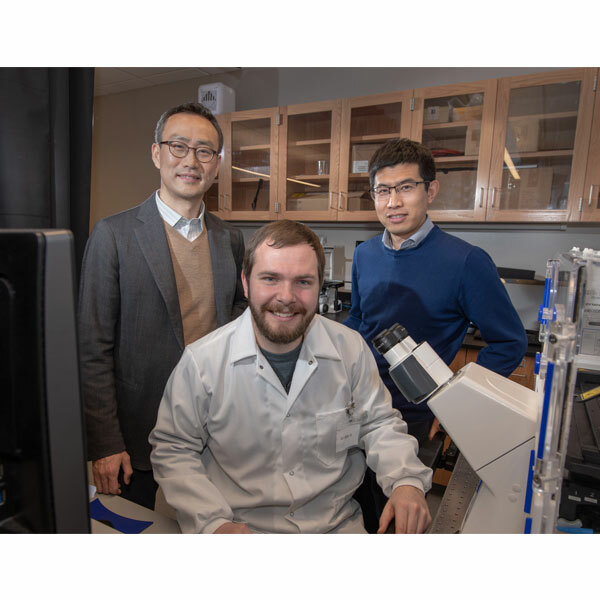 January 31, 2019 - A team of Nebraska engineers is hoping its cell-stretching research will lead new understandings of how cells react to mechanical stimuli so that those expanded pathways might someday aid in fighting cancer and healing wounds. January 23, 2019 - Greg Bashford, professor of biological systems engineering, is part of a team of Nebraska researchers who have developed new technology to improve acute ischemic stroke care. A partnership with an Omaha hospital will allow it to be utilized with patients. 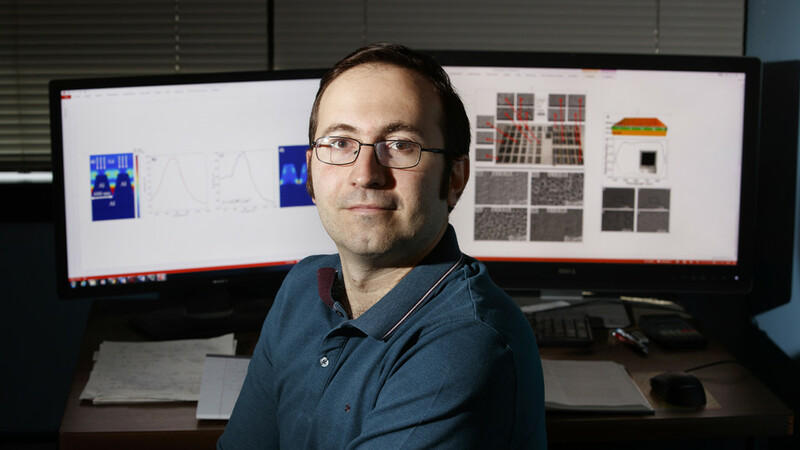 January 18, 2019 - An Office of Naval Research award is helping Nebraska’s Christos Argyropoulos advance laser research with an array of national defense applications. He is the first Husker researcher to receive this honor since the program's founding in 1985. 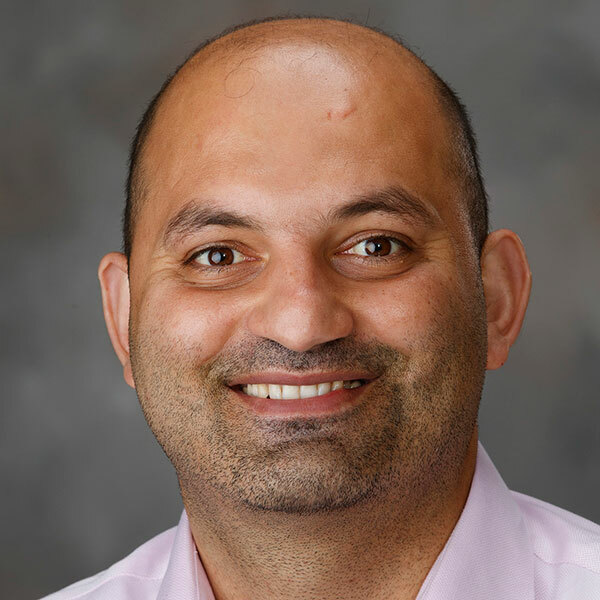 January 18, 2019 - A four-year, $472,887 grant from the U.S. Department of Agriculture is helping a Nebraska research team, led by Santosh Pitla, bring tractor testing into the modern era.